325014, 325011 & 325012, 1S02, Carnforth, Tues 27 November 2018 - 0846. 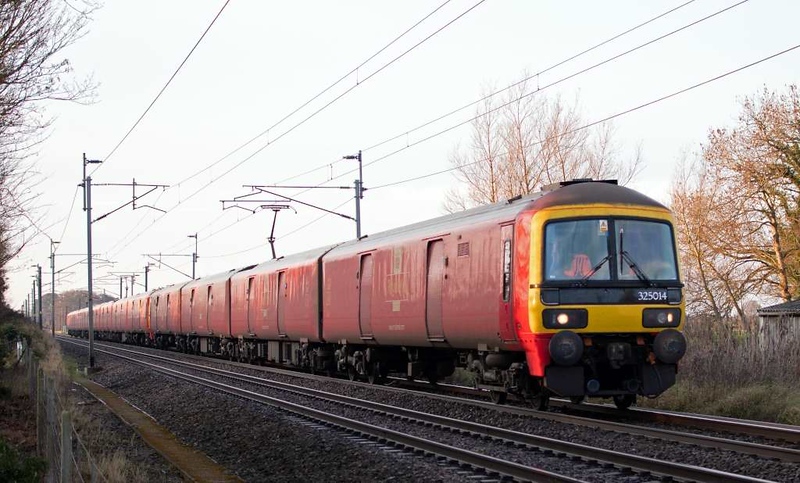 DB Cargo's 0758 Warrington - Shieldmuir extra mail. The Black Friday / Christmas mails started on the 26th, all worked by 325s. This set returned on 1M24 1220 Shieldmuir - Warrington.